Transform your lounge into a timber haven. 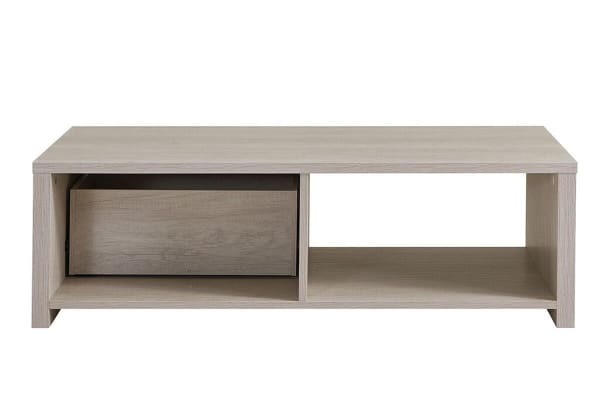 Add a timeless timber flair to your lounge room with this stunning coffee table, a decor-forward space-saving solution built to withstand scratches, spills and scrapes. Enhance your TV room decor with the grain textures and timber feel of the Shangri-La Coffee Table with Storage – Alta Collection. This stunning statement piece is the perfect blank canvas to make your coffee table books pop or to just simply put your feet up after a long day! 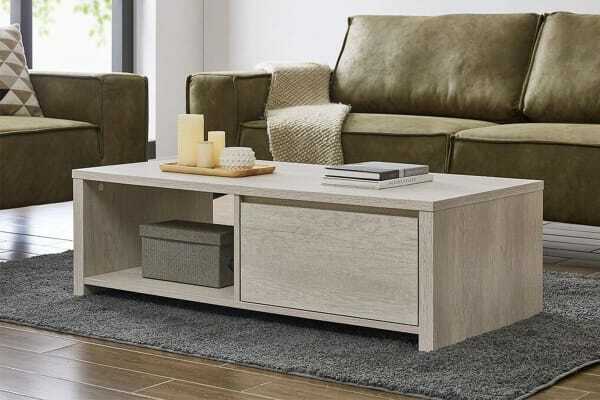 Built with a spacious compartment that’s perfect for putting your books and magazines on show and a generous drawer to pack away remotes and board games, this stunning centrepiece blends functional design with gorgeous timber brightness.